LONDON (CNNMoney) - No cash? No problem! 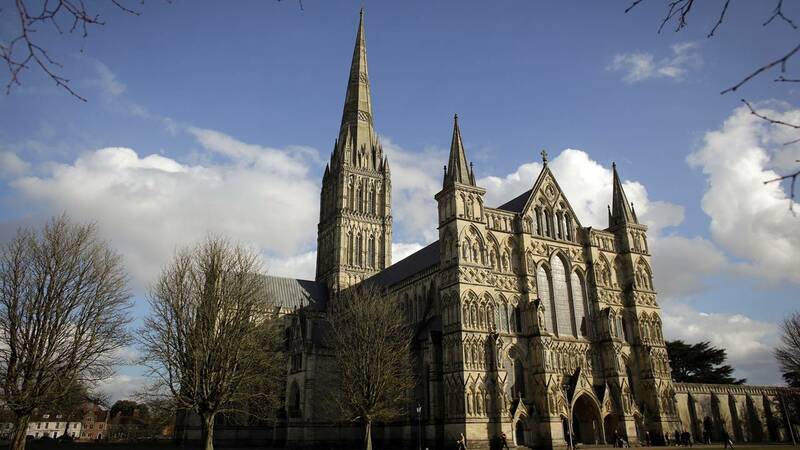 The Church of England is introducing cashless payment technology in 16,000 churches. They will now accept Apple Pay, Android Pay and card payments after decades of only taking cash and checks. The Church of England said the new payment methods would make it easier for parishioners to pay for weddings and baptisms. The second phase of the project, which has already been tested in some churches, would include passing around a card reader or similar technology during collection. "I'm really hoping that we'll be a cash free church," said Rev. Margaret Cave, who leads a church in London that took part in the cashless trials last year. "Being able to take card payments makes us part of modern society, which is really important," she said. "It's all about us being hospitable to our communities." There are still a few logistical issues to resolve. Cave said that passing around a card reader in church could feel cumbersome and inappropriate. "It would just feel a bit clunky to pass around that sort of equipment at this stage," she said, noting that a smartphone or tablet had to accompany the reader during tests. The Church of England's head of financial communications, Mark Arena, said that some cathedrals and churches have thick stone walls that created reception problems for the devices. "We have to look at issues of reception and ease of operation," he said. "There were all sorts of complications associated with that." But the church is undeterred. "We're talking to a couple firms about how we could take this forward," Arena said, noting that there's no timeline for the second phase of the modernization plan. Arena said that attendees can still pay by cash or check if they want. The Church of England said it had partnered with financial technology firms iZettle and SumUp to bring card readers to its thousands of churches. Johan Bendz, the chief strategy and communication officer at iZettle, said his company has a history of working with NGOs, churches and religious institutions, especially in Sweden. "This is another step in expanding that effort across Europe," he said. The Church of England receives about £200 million ($281 million) in annual donations. The vast majority comes from automated bank donations set up by church-goers, but a small amount comes from collection plates.